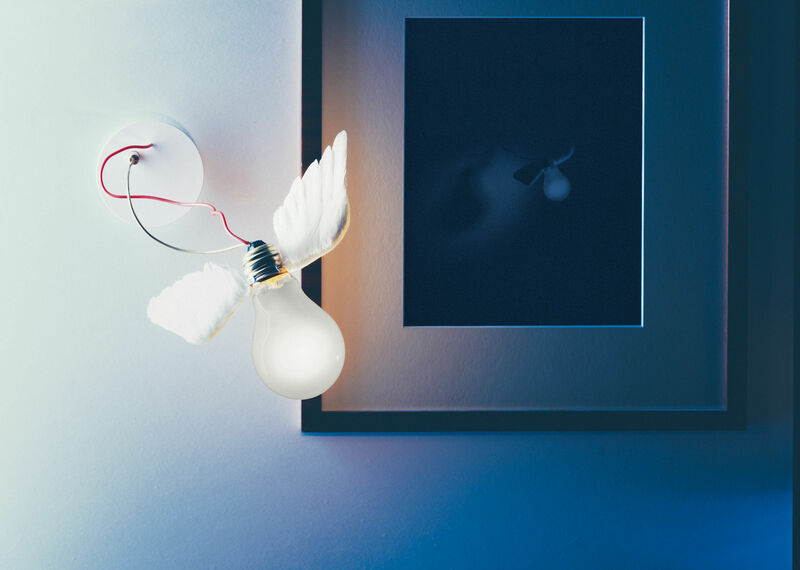 Lamps from the Bird collection are real must-have pieces! 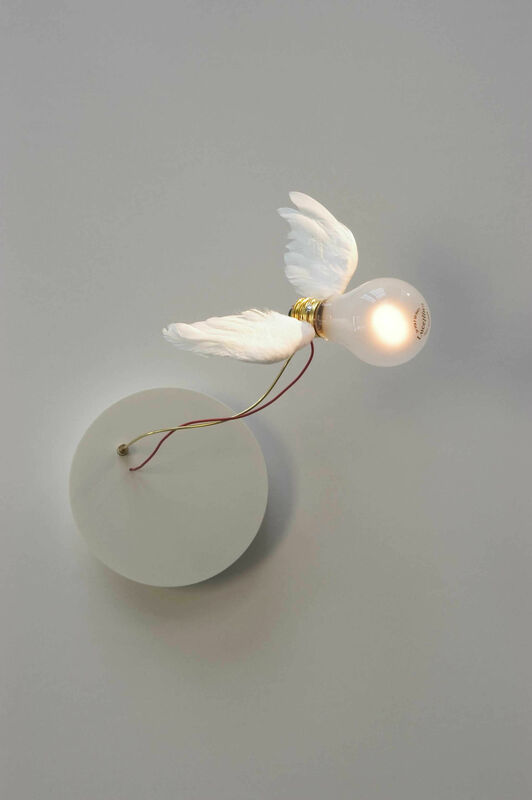 Ingo Maurer sees the light bulb as “a prefect link between technique and poetry.” The light bulb covered in feathers as a symbol of evanescence creates wonderful diffused light effects. The name Lucellino comes from two Italian words, namely “luce” (light) and “uceellino” (birdie). This romantic wall lamp with a low voltage halogen bulb and handmade feather wings will bring a touch of poetry into your home. It will just look magical on your walls! 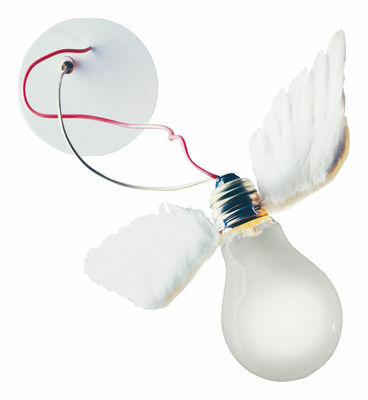 The Birds collection includes various pendant and ceiling lights, table lamps, wall lamps, and bulbs.